Douglas J. Kunath – Member – Salmon, Lewis & Weldon P.L.C. Douglas Kunath concentrates his practice on commercial real estate and business transactions. He counsels tenants and landlords in connection with restaurant, retail, office, and commercial leasing and lease administration, including drafting and negotiating leases, amendments, assignments, SNDAs, and estoppel certificates. He also represents clients in a variety of aspects relating to the acquisition (including title, survey and environmental due diligence), financing, and development of real property. Douglas has assisted clients with acquiring, financing, and disposing of office buildings, multi-family housing developments, senior housing facilities, and vacant land. Negotiated restaurant leases in Class A shopping centers and mixed-use developments located throughout the United States on behalf of national restaurant group, and serves as leasing counsel to national restaurant group on all aspects of lease negotiation and administration. Counseled national lender in connection with joint venture, preferred equity, and mezzanine financing transactions for commercial and multi-family housing transactions located throughout the United States with development budgets totaling in excess of $1.5 billion over the last five years. Assisted real estate division of national insurance company in all aspects relating to the acquisition, financing, and assemblage of more than 250 acres of contiguous property through 18 separate transactions for a future mixed-use development. 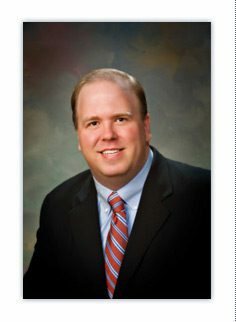 Advised clients on real estate acquisition issues, including purchase agreement negotiations, title, survey and environmental due diligence and negotiation, land use and zoning considerations, water rights and related feasibility matters, in connection with real estate transactions totaling in excess of $500 million over a period of three years. Represented water users in purchasing and leasing Type 2 water rights, and assisted water users with reporting and filing obligations associated with irrigation grandfathered, Type 1, and Type 2 water rights. Negotiated office leases on behalf of landlords and tenants, including for Class A office buildings. Represented real estate investors in acquiring distressed commercial and multi-family real estate and promissory notes.